How is the resting membrane potential set for a typical human cell? Where would the majority of Na+ have to be in order for its Nernst potential to be positive – intracellular or extracellular? Where would the majority of Cl- have to be in order for its Nernst potential to be negative – intracellular or extracellular? Where would the majority of Ca++ have to be in order for its Nernst potential to be +125 mV – intracellular or extracellular? If the Nernst potentials are positive for Na+ and Ca++, and negative for Cl- and K+, which ions would move into the cell if you opened up all 4 classes of ion channels? 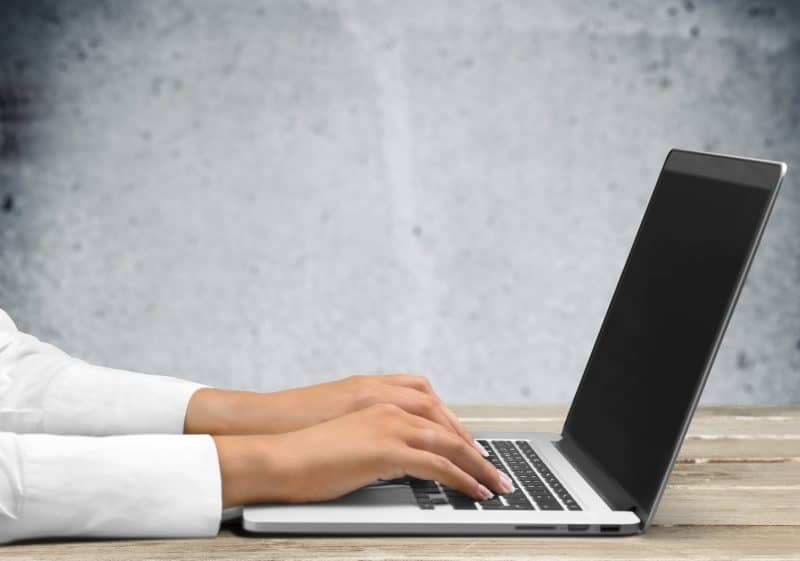 Cell membrane potential – why does it exist? Is the majority of K+ intracellular or extracellular? Is the majority of Na+ intracellular or extracellular? Normally, if you have a high ion concentration on one side of a membrane, and a low ion concentration on the other, what direction would the ion typically flow if you opened up an ion channel to it? 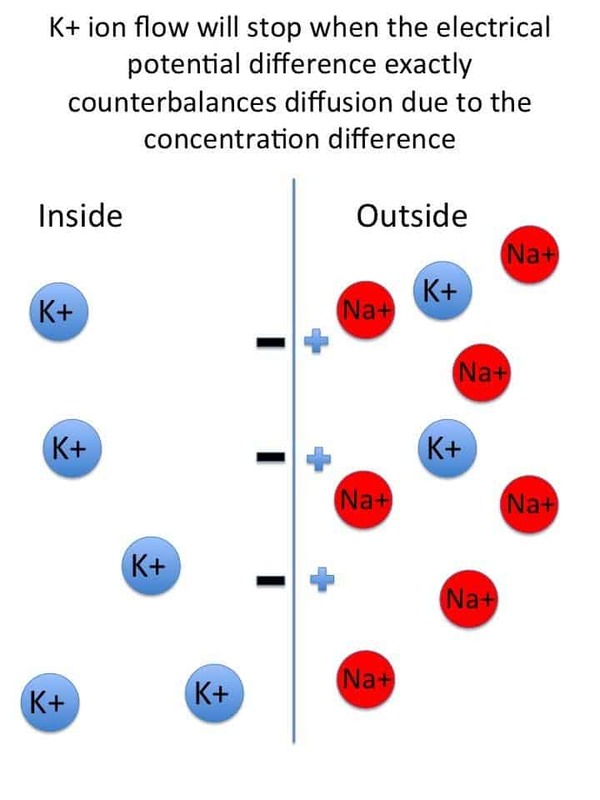 In the hypothetical situation above, where Na+ and K+ concentrations are equal, but on opposite sides of the membrane, what direction would these ions flow if no Na+ or K+ channels were open? Because they are charged, ions must travel through their respective ion channels, since they are charged and cannot cross the nonpolar plasma membrane by themselves. If their ion channels are closed, they cannot cross. What would happen if the K+ channels were open? 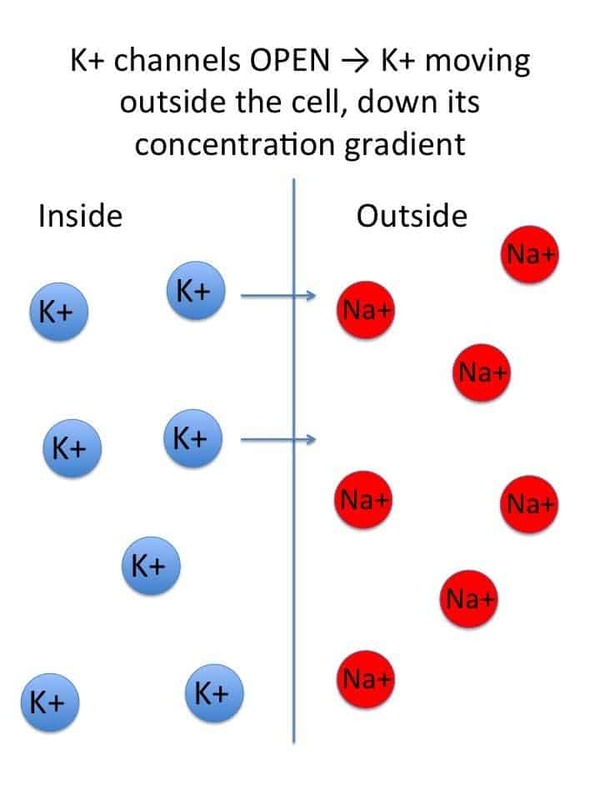 Because of its high concentration inside the cell, and low concentration outside, K+ would move OUTSIDE the cell, down its concentration gradient. If K+ moves outside, what charge will form across the membrane? If there is a negative charge on the inside of the cell, would this draw K+ inside, or push it outside the cell? Are the concentration gradient and electrical gradient pushing K+ in the same or opposite directions? When will K+ STOP moving outside the cell? 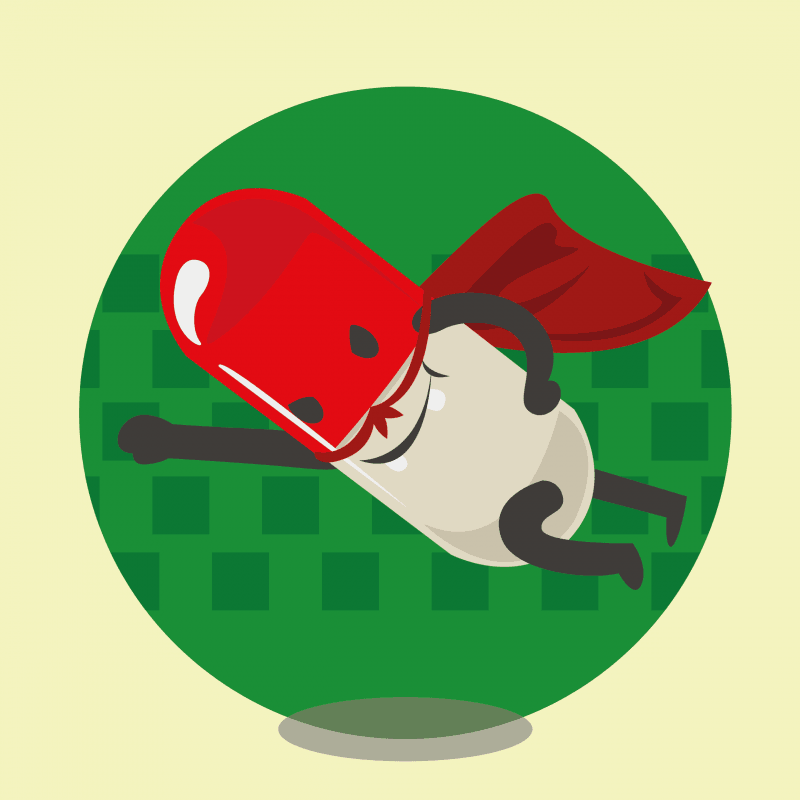 Equilibrium potential – what is it? What is another term for the equilibrium potential when considering a single ion? If I opened the Na+ channels instead, what potential difference would form across the membrane? What would the membrane potential be if there were MANY K+ channels open, but only a few Na+ channels open? The membrane potential would be closest to that of K+, since the majority of ions traveling across the membrane would be K+. Thus, the membrane potential would be negative. Similarly to the previous scenario. 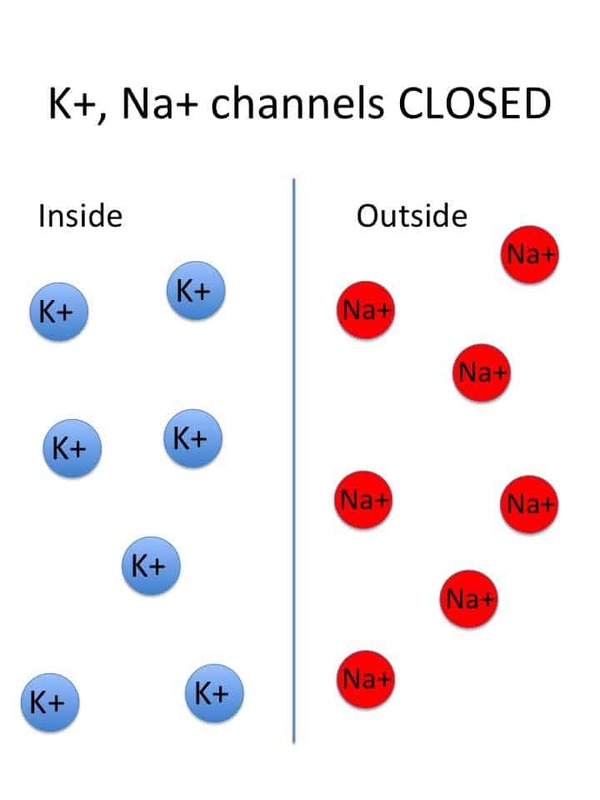 At rest, the majority of ion channels open are K+ channels, thus the membrane potential is closest to that of the Nernst potential for K+. Where would the majority of Ca++ have to be in order for its Nernst potential to be positive – intracellular or extracellular? Note that Na+ and Ca++ both move inside the cell because their membrane potential is positive, but Cl- moves inside of the cell because it is negative. If you’ve made it this far, congratulations!! 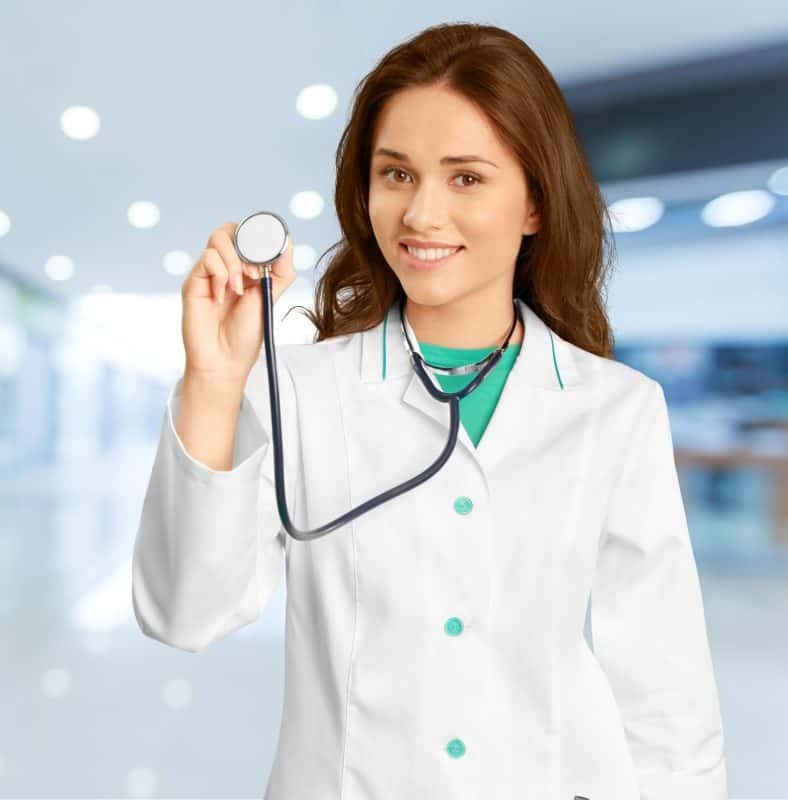 Equilibrium/Nernst potentials are some of the most dreaded topics on the USMLE Step 1, especially since it has been so long since many of us have taken a basic science course. 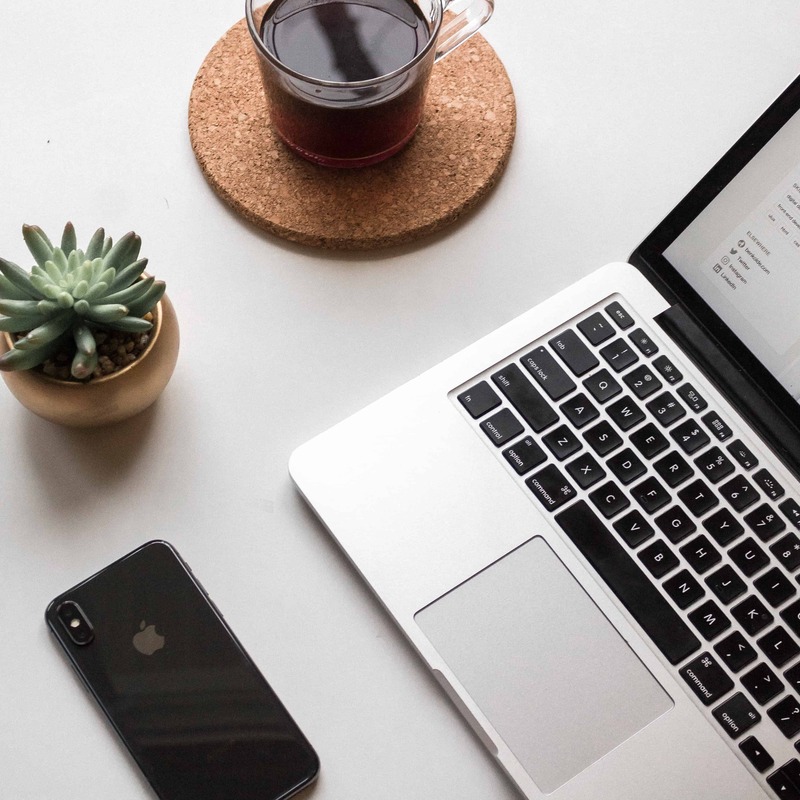 Here, we’ve highlighted the fundamental principles underlying equilibrium potentials, and demonstrated in a practical way the kinds of ways this information can be tested on the USMLE Step 1.